No Need to Empty the China Cabinet: Just Pick Up and Move Your DC Townhouse in 1907. When we begin a house history and literally hit a brick wall when we start researching, something is amiss. We double checked lot numbers, house numbers, and even the Square number, but one recent project left us stumped. Of all possibilities, we never would have guessed that the three story, 114 year old townhouse we were researching had been moved just eight years after it had been built. Moved only 25 feet, that is, without the need to even empty the china cabinet. 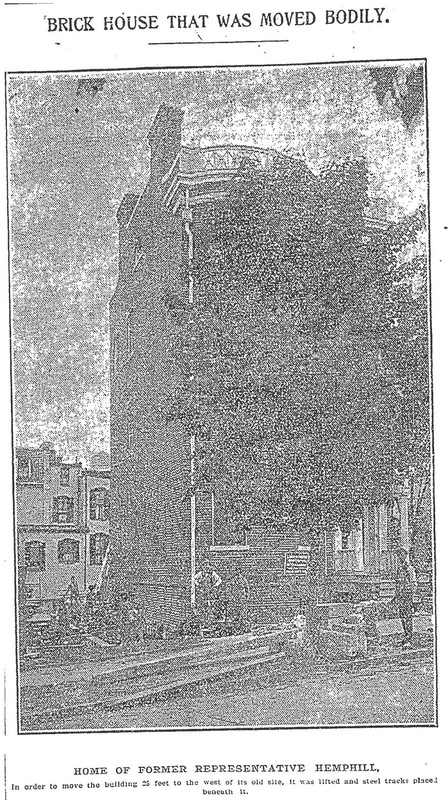 The owner of the vacant lot where 2108 Bancroft Place, NW was to be constructed beginning in 1899, John James Hemphill (left) likely never envisioned that his soon to be built house would be astonishingly moved in its entirety to the adjoining lot just eight years later, in 1907. The house he constructed at 2108 Bancroft was indeed painstakingly relocated next door, where it is found at 2110 Bancroft Place today (right). “JJ” Hemphill as he was known, applied for and was granted an Application for Permit to Build numbered 1778 for the house on June 7, 1899. He listed architect Lemuel Norris (1838-1940) as responsible for its design, and William P. Lipscomb as the general contractor. It was estimated to have cost $12,000 to construct. 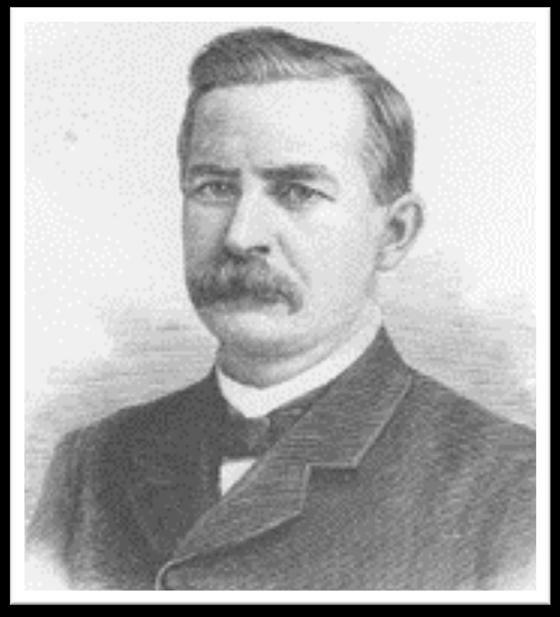 John James Hemphill (August 25, 1849 - May 11, 1912) was a U.S. Representative from South Carolina, elected as a Democrat to the Forty-eighth and to the four succeeding Congresses (March 4, 1883-March 3, 1893). 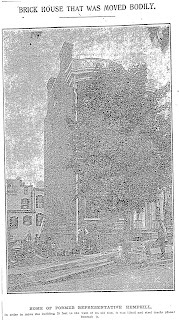 Shortly before April of 1907, Hemphill’s neighbor to the east constructed a high brick wall that Hemphill felt obstructed his views. A good brick (fence) wall apparently did not make good neighbors, and Hemphill took the drastic step of planning to move his house twenty-five feet west onto an adjoining vacant lot. It was a risky maneuver, and had not been accomplished in Washington prior to 1907. In addition to the move, the house had to be raised eighteen inches to accommodate the street grade. It would cost $4,500. Remember, the house cost $12,000 to build! 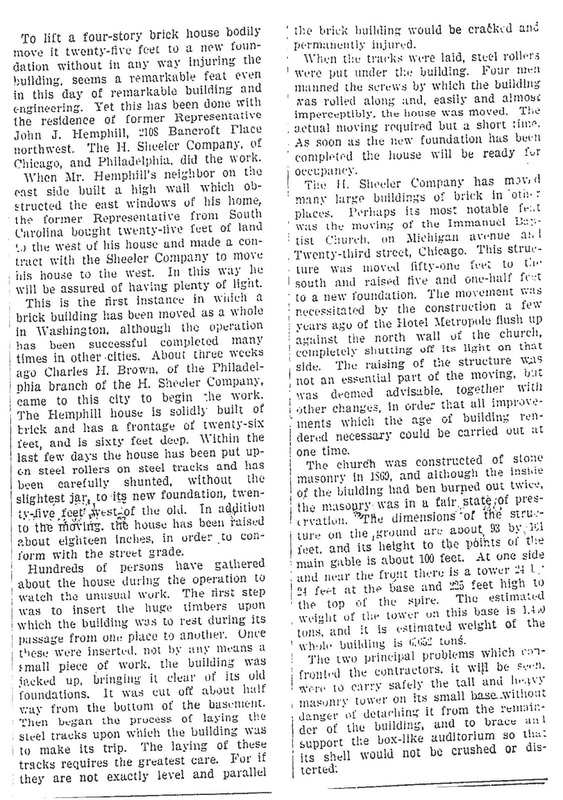 Hemphill obtained a Permit to Repair or Reconstruct Buildings numbered 3346 on April 24, 1907. 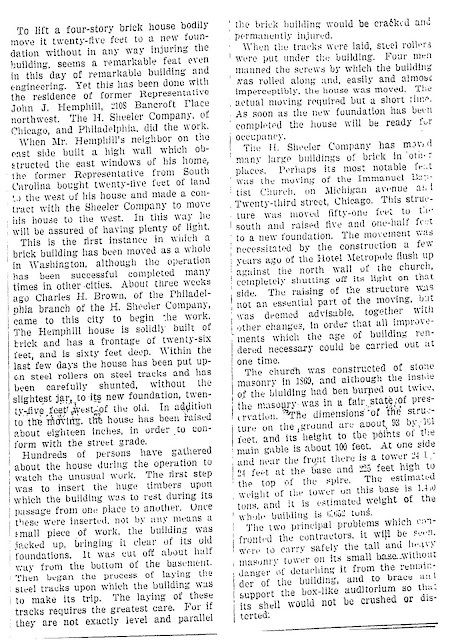 He indicated that a mechanic at the Sheeler Company would oversee the operation and an article in the May 26, 1907 Washington Post revealed that the move took about three weeks to accomplish. They planned on supporting the wood bay on the east side with copper, and would add a rear brick addition measuring twelve by sixteen feet once the house was in its new location. The text from the Post appears here. Mary Clements recalls in her oral history interview with homeowner Elizabeth Hemphill that she had indicated that she didn’t even have to empty her china closet the move went so smoothly. Interestingly, despite the fact that the house had been moved to its new location at 2110 Bancroft Place and a new house was under construction at 2108 that began in 1909, the 1910 census still refers to the Hemphill family as residing at 2108. It was likely due to the address number still affixed to the exterior, replaced when the house to the east was finished. In any event, it showed Mr. and Mrs. Hemphill as occupants, along with their 17- year-old son John. 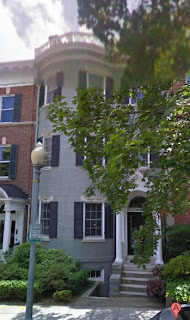 They had one live-in, Mulatto servant names Sarah J. Johnson, who had been born in Virginia about 1872. Somewhat surprisingly, just two years after the drastic move due to his loss of view to the east, Hemphill himself obtained a permit to construct a new house on the lot where his own had been moved. 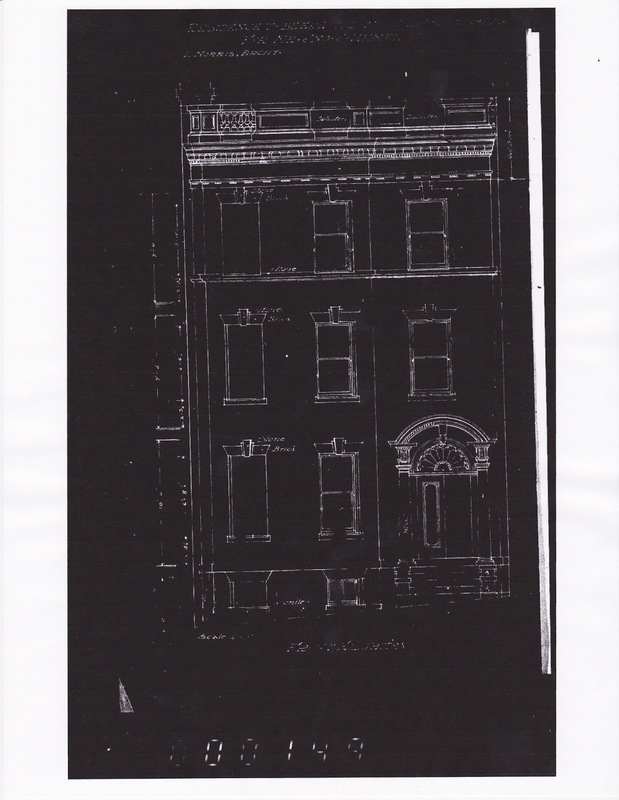 He once again hired Lemuel Norris to design 2108 Bancroft Place, which was constructed shortly after the permit was issued on March 23, 1909. It was built by the Lipscomb Company at a cost of $15,000. 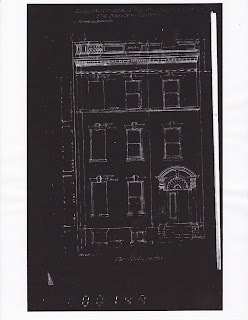 The front elevation plan was included along with the permit, illustrated at left. When one begins to explore the “cause of death” among the 65,000 interred at Congressional Cemetery, your imagination begins to recreate the ultimate demise from myriad illnesses, murders, train wrecks, auto accidents, drownings and the like. But one really stood out to me recently: an 1899 death “by tiger bite.” The cemetery is also competing for a share of $1M from AmEx and the NTHP until May 10, 2013 by popular vote. An employee of the circus visited the hospital, but it was reported that he had no interest in Siegert, and coldly announced that he was only there to reclaim the bloodied quilt which had been wrapped around Siegerts leg. Surgeons initially thought they could sew the wound back together, but eventually, at 8 pm on September 5, 1899, the leg was amputated below the knee by William P. Carr. The stress, blood loss, and infection took Siegerts life just five hours later, at 1 am on September 6th. As they say in the business, “the show must go on,” and the Wallace Circus pulled out of town that morning. Little was known about his family, and after several days of local media attention, a local insurance man named Robert Cook took pity on the situation, purchased and buried him in Congressional Cemetery on September 7th. The site remains unmarked to this day (at Site 130/Range 250). 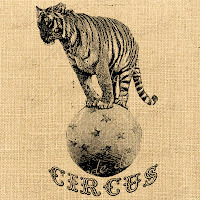 A week later, the circus finally located his father Julius G. Siegert in La Porte, Indiana (who had been born in Russia about 1847), and sent him a telegram about the death of his son. He wrote a letter to the Washington Post which was received on September 12, offering to pay for his son’s internment, but the funeral had already taken place. If you want to assist in creating a marker, now is you chance! The cemetery has a kickstarter project where you can contribute, vote on a design, and finally get a monument installed at the site. Think of the design possibilities! Be part of the process HERE. Benjamin Wallace, a livery stable owner from Peru, Indiana, and his business partner, James Anderson, bought a circus in 1884 and created "The Great Wallace Show." The show gained some prominence when their copyright for advertising posters was upheld by the Supreme Court in the Bleistein v. Donaldson Lithographing Company case. 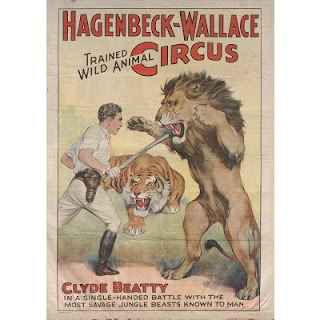 Wallace bought out his partner in 1890 and formed the "B. E. Wallace Circus.” It later merged with another circus and became the Hagenbeck-Wallace Circus. In 1913, the circus lost 8 elephants, 21 lions, 8 horses and several tigers in the Wabash River flood. Its unknown if one of the tigers drowned included "Big Ben," the Bengal that killed Charles Siegert. Another tragedy struck the circus just before 4:00 a.m. on June 22, 1918, when a locomotive engineer fell asleep and ran his empty troop train into the rear of the circus train near Hammond, Indiana. A fire broke out and quickly spread through the wooden sleeping cars. 86 persons died and another 127 were injured, with many victims were burned beyond recognition. 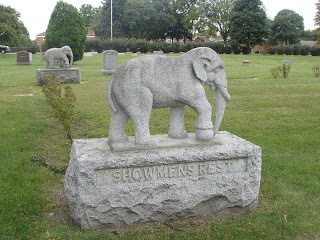 Most are buried in Woodlawn Cemetery in Forest Park, Illinois in a section set aside as Showmen's Rest, marked by large elephant memorials.